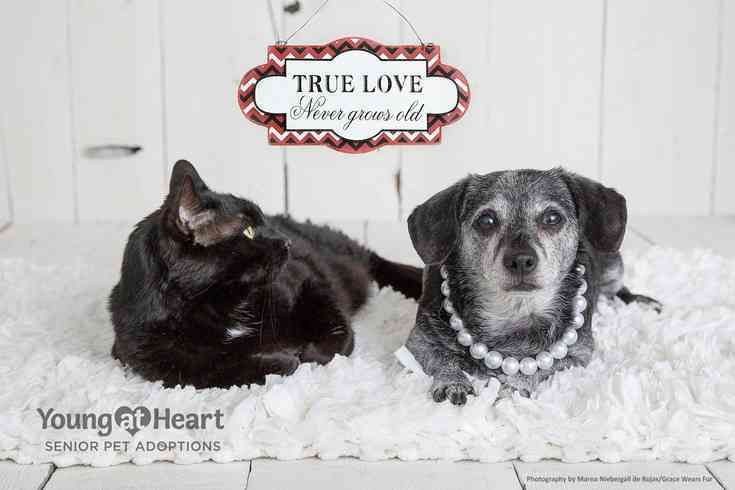 Share the Love - Adopt A Senior Pet Month! November is Adopt a Senior Pet Month, and there's no better way to celebrate than saving senior pets that need a second chance. Make a donation in honor of your beloved pet or family member to Young at Heart's Wall of Love, and your gift will help rescue senior pets that need a second chance. You can even send your personalized heart via ecard to yourself or someone special! Click to help us celebrate and save senior pets!